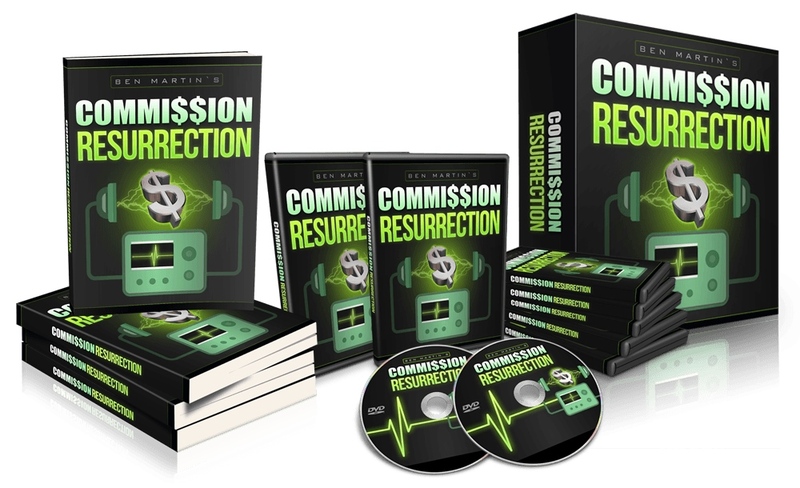 Commission Resurrection Review + Bonus - $1400/Day On Autopilot? This is my honest review of Ben Martin’s latest info product Commission Resurrection. Ben is a big player in the online marketing space, with revenues of over $30000 per month. I’ve never purchased any of his products before so I’m coming into this with an open mind and no expectations. It’s important to mention that unlike some other people out there that have reviewed Commission Resurrection, I’m not doing so with the sole intent of funneling traffic to some other offer I’m an affiliate for that I claim is “better”. I am an affiliate for just about all of the products I review, I don’t have an ulterior motive, and most of the time I have purchased and gone through the whole course before writing about it. This is a 100% honest review, something that’s not easy to come by these days. Bonuses: I’ve put together a package of three awesome bonuses that I think complement Commission Resurrection at least to some degree. 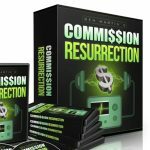 You’ll get these bonuses absolutely free if you decide to grab Commission Resurrection through my link on this page. Be sure to scroll down to the bottom of the review to get a description of each of them! 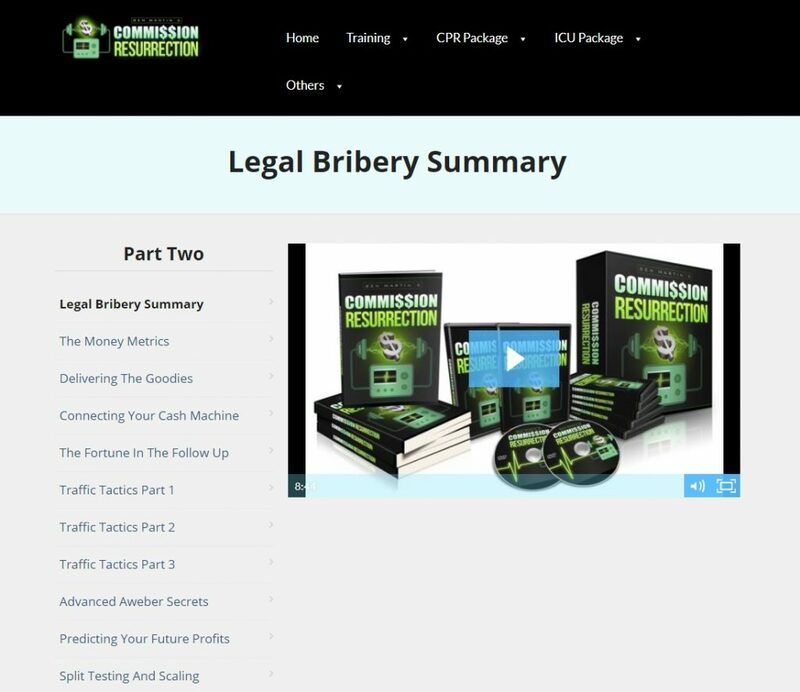 Summary: Commission Resurrection is is a great info product packed with a ton of valuable information. The front end alone contains 30 videos, many of them almost 20 minutes long, along with a few useful bonuses that complement the main course. This is the long term business — creating funnels, building a list and promoting products to that list — that everyone should be building up if they want to make real money online. This is a rock-solid, tried and tested method that simply works, and will continue to work for many years to come. With that said, it would have been nice if Ben touched on some free traffic methods (such as Facebook) in the main training, which he doesn’t. He also doesn’t say much about how to actually write emails that convert, which is hugely important; instead, he directs you to another product of his that costs $197. Aside from this, I can’t really think of anything to criticize. What is Commission Resurrection about? Ben also discusses strategies and good habits that can help you achieve your money goals, provides a few relevant high-quality bonuses in the members area and offers a free viewing of a value-packed webinar that reveals the easiest way for the “little guy” to get rich online. What is the structure of Commission Resurrection? Front End ($14.95) – the base course which consists of 30 over-the-shoulder video modules and bonus “special training” modules. These modules are extensive, covering the planning stage, concepts, offers, capture pages, bonus pages, follow-ups, tracking and much more. I think for $27 this is a great offer. 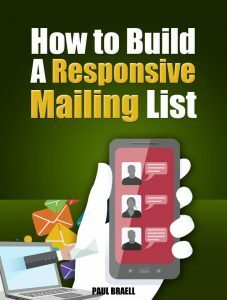 You’re getting a lot of valuable promotional material (that would probably take a lot of time and effort for you to create yourself) which you can “plug and play” to make quick money. It’s always great to get your hands on more bonuses to add to your asset collection, and an email consultancy with a six-figure marketer is very valuable. I would definitely consider this one, especially if you’re a newbie who struggles to get approved for products and write promos yourself. the ability to earn instant commissions on 3 hot offers, which means no waiting for delayed payments. You make a sale and receive commissions the same day. Ben’s 50 most opened subject lines so far in 2017. You can use them as is, or model and adapt them as you see fit. master resell (or licence) rights to promote all of Ben’s products and keep 100% of the proceeds. If this was $197 or more than I would be hesitant to recommend this, but it’s only $47, and what you’re getting for that investment is pretty awesome. The license rights alone could be sold for multiple hundreds of dollars. If you think this upsell would be useful to you then you should seriously consider grabbing it. I would normally charge for these value-packed bonuses (particularly the second one, which is practically a novel), but you’ll be able to get all of them absolutely free if you grab Commission Resurrection through my link. I know a lot of people will get it just for the bonuses, even though Commission Resurrection is a quality product on its own. I want to stress that Commission Resurrection is definitely not a scam. 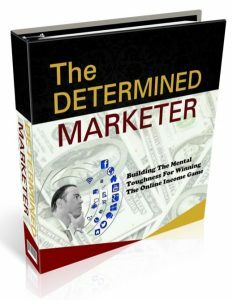 This product is a must-buy for newbie affiliate marketers looking to get off the ground, and even more experienced marketers who want to increase their commissions. If nothing else, you should buy the front end product for less than $15 and get the wealth of valuable info that Ben has in the members area. Nowadays it’s more difficult than ever to make money by sending cold traffic directly to an offer. Even redirecting to a capture page that redirects to an offer might not be enough to make good money if you don’t know how to monetize the list that you build. 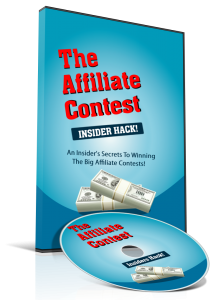 By integrating bonus pages into your funnels, you can seriously boost your sales (and hence commissions), increase your chances of winning affiliate commissions and make a ton of money at the end of the day. The great thing about this method is that you can set up a promotion once and watch the commissions roll in as you sit back and relax for the next week or so — and automation and passive income is the goal here, isn’t it? In terms of negatives, it would have been nice if Ben touched on at least one good free traffic method to use as an alternative to buying solo ads inside the main course. I thought he would eventually get into Facebook traffic a bit, but I went through the whole course and he never did as far as I know. I also wish he would have provided more information and techniques about writing emails that convert. 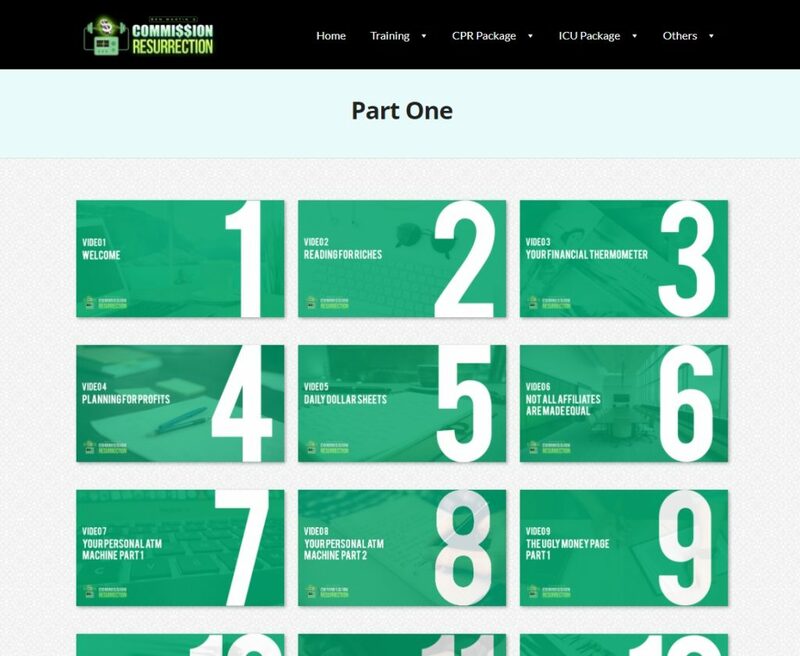 I hope you found my review of Commission Resurrection informative and helpful. See my summary and rating of the product below. If you have any questions, feedback or comments, feel free to leave them in the comments!